Find the Right Pair for You! At Eye & Vision Care, many of the patients we see prefer contacts for their vision correction needs. Wearing contact lenses offers you a different style, hassle-free vision correction and the freedom to wear non-prescription sunglasses and goggles. 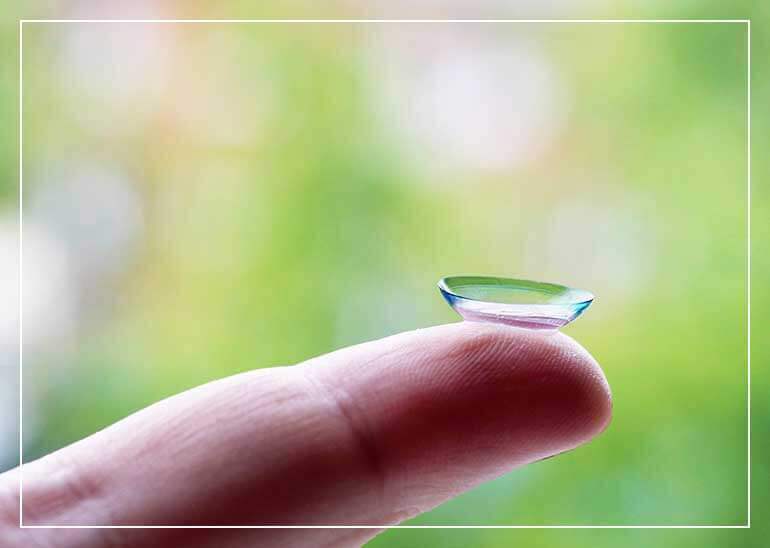 If you are a patient with severe astigmatism or high prescription, we may recommend contact lenses for more enhanced vision correction. Today’s technology can even allow you to replace your bifocal glasses with bifocal contact lenses. When you visit us to get fitted for contacts, we will begin with a consultation about your medical history and vision needs. We will then conduct a comprehensive eye exam so that we can be sure to prescribe the right kind of contact lenses for your unique eye care needs. Depending on which type you choose, soft lenses must be replaced daily, weekly or monthly. This type of contact is often recommended for physical activity because it sits close to the eye and is difficult to dislodge. Advanced technology, like silicone hydrogels, have made it easier than ever for patients to feel comfortable wearing soft lenses. 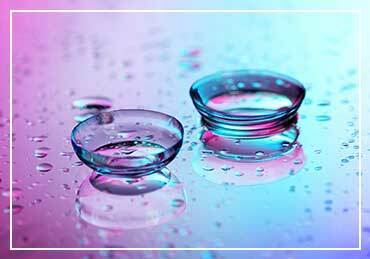 Gas permeable lenses are superior to soft contact lenses because they allow more oxygen to reach the cornea. They also provide sharper vision because they maintain their shape during each blink of the eye. Just like a pair of bifocals, multifocal lenses offer vision correction at both near and far distances. Multifocal lenses come in both soft and rigid gas permeable materials. Colored contact lenses are a fun way to experiment with a new look. Ever wonder what you would look like with blue or brown eyes? Now you can find out! 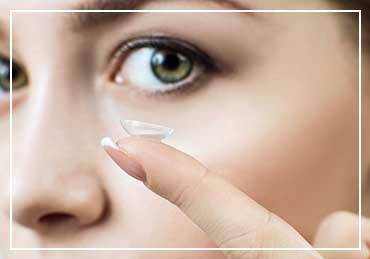 Ready to find the contacts that are right for you? Call Eye & Vision Care today in Fairfax at (703) 961-9119 , in Ashburn at (703) 722-8688 , in Haymarket at (703) 659-4430 or in Chantilly at (703) 957-3384 . You can also schedule an appointment online. We are Northern Virginia’s premier eye care specialists.